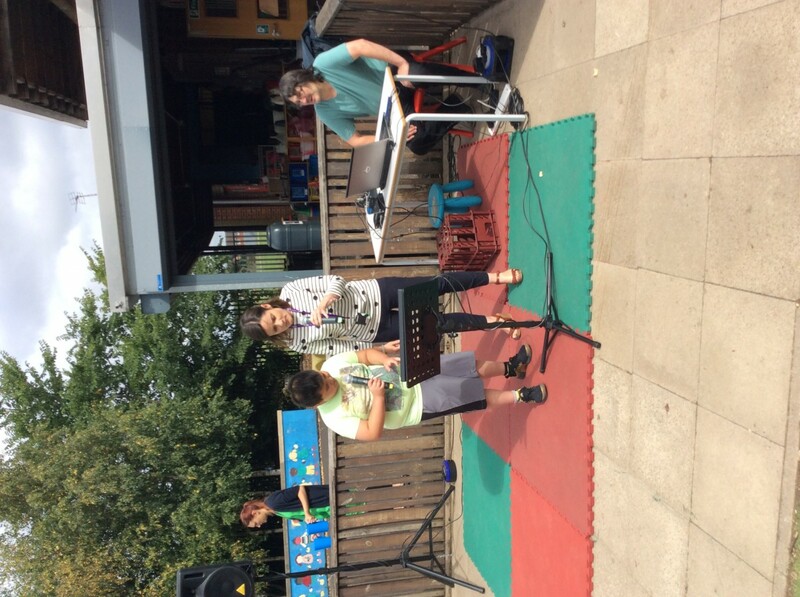 Mrs Shaw and Brendan on the Karaoke! Mr Dear in the Stocks! Mr Hussey on the Beat the Goalie! 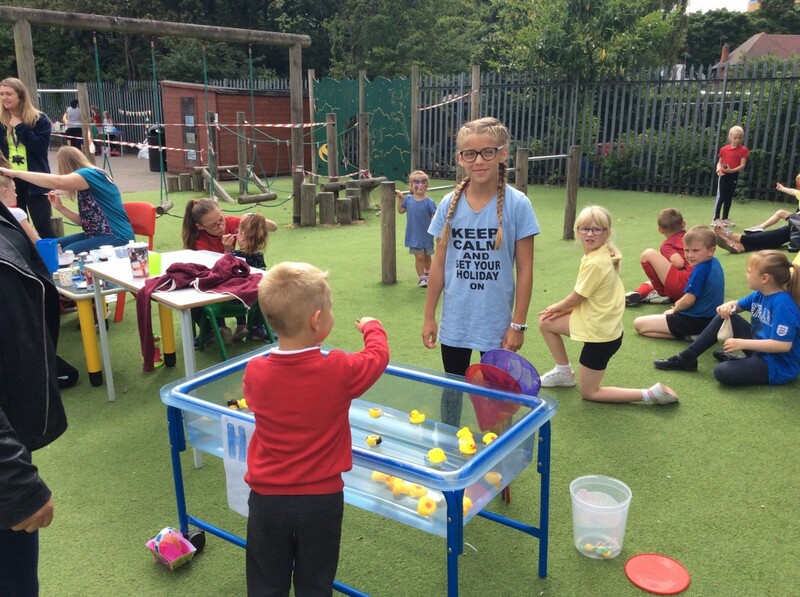 Matilda from Y6 running the Hook-a-Duck! 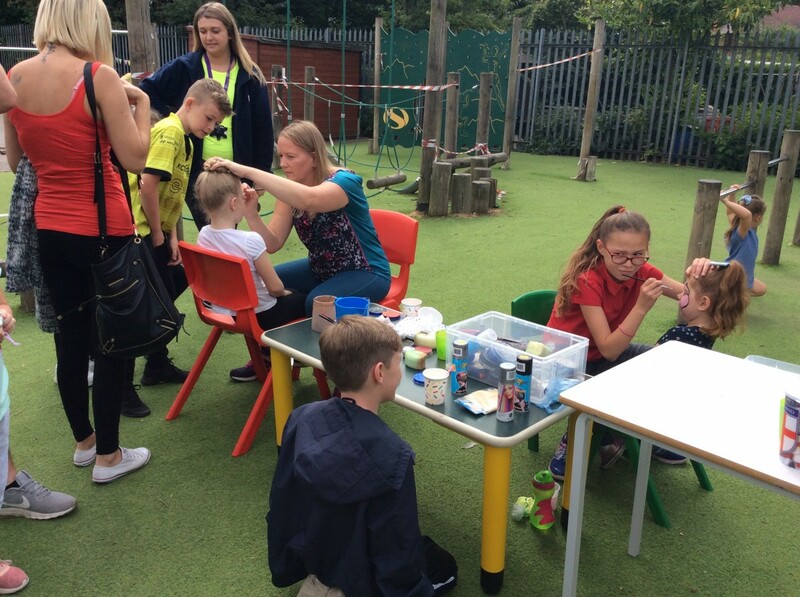 Mrs Pinder doing some beautiful face painting! 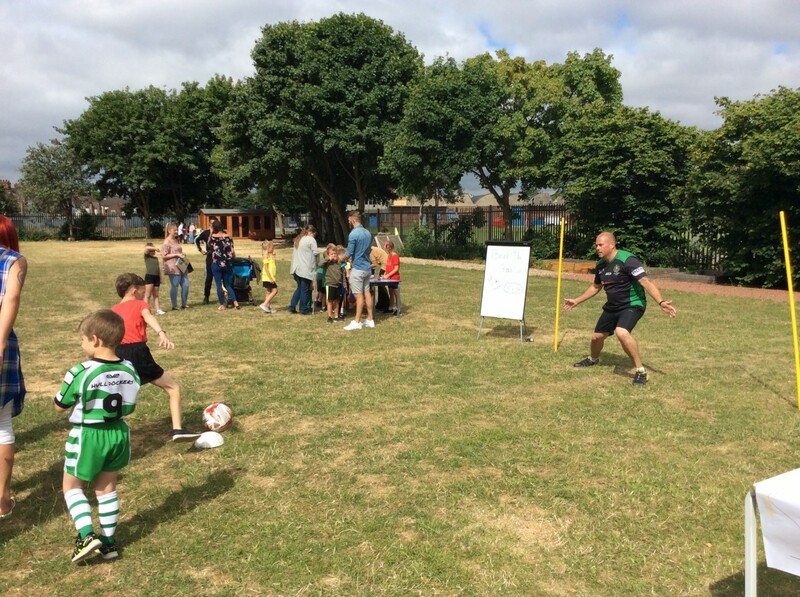 One of our brilliant parents volunteering for St Giles Church! 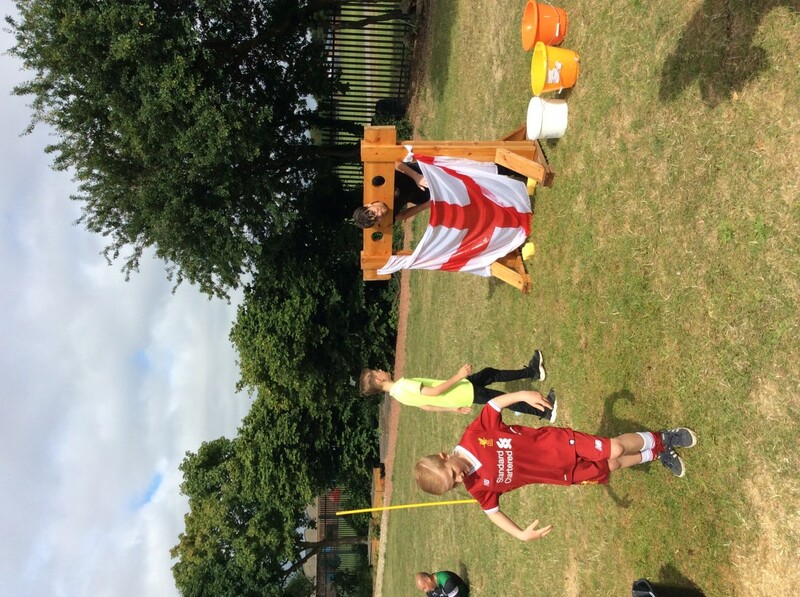 On Friday 13th July the school hosted a Summer Fair to raise money for Blake – we were very lucky to have fantastic weather for the day and the fair was a huge success. 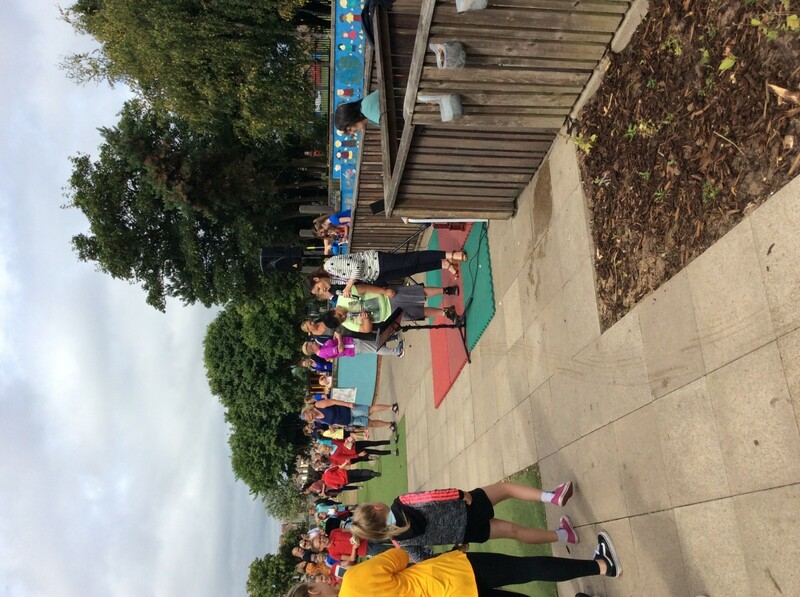 We want to say a huge thank you to every parent, carer, and family member that attended the Summer Fair and helped to make it a brilliant event for the children. We had a book fair running in the hall which seemed to be very popular with parents – this is something we will be looking to continue to run in our school. Outside on the field there were multiple stalls including face painting, hook-a-duck, beat the goalie, karaoke and soak the teacher with Mr Dear. We also had a tombola running in the hall with Mrs Ransom and a raffle with lots of brilliant prizes. Have a look through the images above at what the children and visitors got up to. 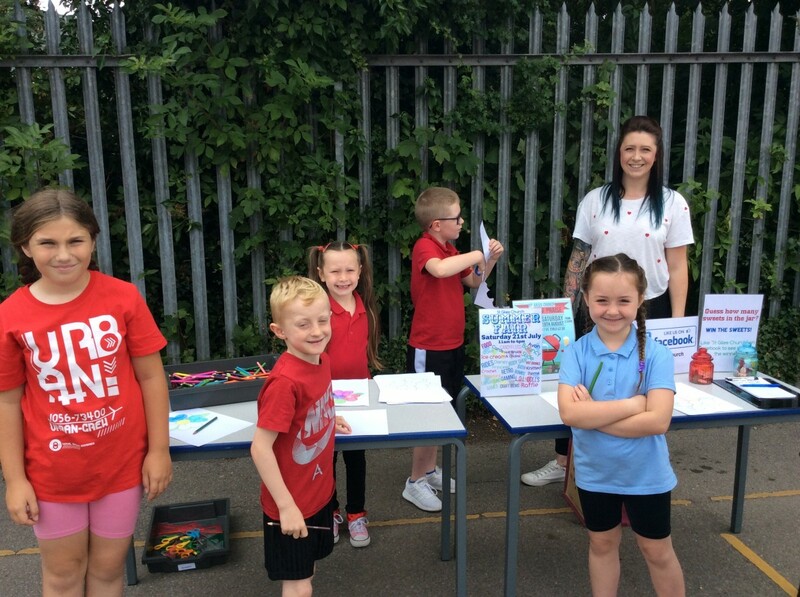 In total the amount raised for Blake from the Summer Fair was £289.05! We hope this money can go towards some of the much needed equipment and support that he needs.